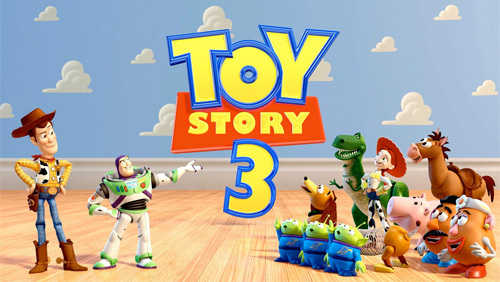 Ever since Pixar released the first Toy Story back in 1995, in just one and a half decade, the studio has produced eleven movies. Most of them are critically-acclaimed, averaging 95% in Rotten Tomatoes and have grossed a collective of over $5 Billion worldwide. Out of those eleven, I’ve seen all but one, Cars, which interestingly enough will be the second Pixar feature film that get the sequel treatment after Toy Story. According to Wiki, Cars 2 is scheduled for release on June 24, 2011. I recently saw Toy Story 3 and absolutely loved it. 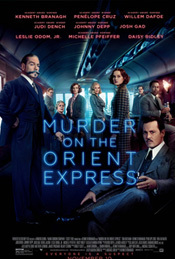 In fact, it was no doubt one of the most entertaining cinematic experience in quite a while. 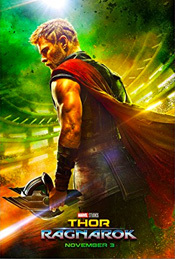 If there is such a thing as a ‘flawless’ movie, this one could count as one. If I could nitpick just one though (as Dreher Bear also said in his review), I wish they had given more ‘screen’ time to Mr. Pricklepants, voiced by my fave Shakespearean actor Timothy Dalton. It’s amazing how a bunch of toys packed such emotional punch. EW’s Popwatch blog asked the question in a Toy Story 3 Poll: “Did you cry?” Well, suffice to say, I had some tissues going into the theater, but by the end of it I realized I need a whole stinkin’ box! 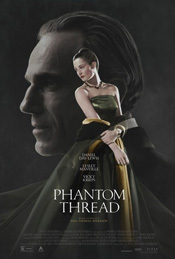 I haven’t got a chance to review it yet, but i case I never got to it, let me say this: Go see it pronto! It’ll make you feel like a kid again and treasure this movie (and this animated trilogy) for years to come. The beauty of Pixar movies is how wonderful the characters are. They’re so well-written and tug your heartstrings, it’s amazing how we could ever care so much about a bunch of toys, a waste-eliminator robot, or a one-eyed green monster. Within mere seconds into a Pixar movie, I’ve become so emotionally-invested in them right away that make the viewing experience so worthwhile. They’re even more affecting than a lot of real human characters in a life action feature. 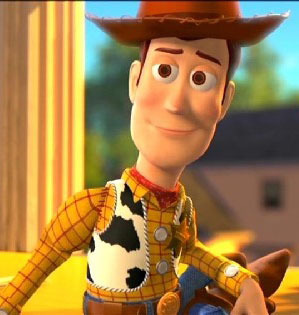 The leader of the pack of Andy’s toys and the emotional core of the franchise, Woody the Cowboy is just so darn likable. That’s why you got someone like Tom Hanks to voice him and let his playful personality shine. Woody is funny, caring, optimistic, and wise almost to a fault. 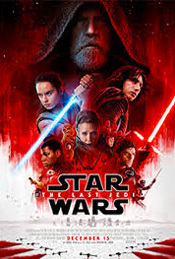 And he’s fiercely loyal, too, even as much as he loves his college-bound owner, he’s torn to be separated from his buddies and a trait he’s carried with him from the beginning of the movie until the very end of the franchise. No wonder he’s Andy’s favorite toy, because there ain’t no Toy Story without Woody! Oh, who doesn’t love the one-eyed monster, voiced with wisecrackin’, smarty-pants sensibilities by Billy Crystal. He’s got more expression with his one giant eye than most characters with two. His green round shape is quite possibly the cutest, most adorable Pixar creation yet, not to mention his toothy grin. And he’s charming and smooth, too, just as Celia Mae (Jennifer Tilly), his girlfriend with Medusa-like hair and high-pitched voice. The minute he sang, “you and me… me and you… both of us togethaaa…” I’m done for! LOVE ya Wazowski!! 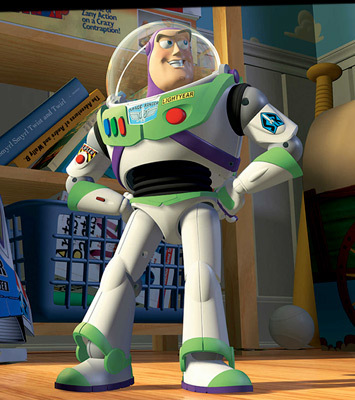 Starting out as a main rival turns BFF, the spaceman action-figure is the perfect complement to Woody even if Buzz’s delusional self sometimes exasperates his more-grounded friend. The Tim Allen-voiced character initially thinks he’s the real Buzz Lightyear, not a mere toy like the rest, which explains his extra gung-ho attitude that’s so fun to watch. I thought the duel scene with Darth Vader-like Zurg at the end of the first sequel was my favorite scene of Buzz, but no, it’s when he’s accidentally reset and becomes the Spanish Buzz that had me in stitches. The pent-up feelings he has for Jesse is now on full display as he’s become unabashedly romantic Don Juan. The tango sequence with Jesse is priceless and sooo much fun. Te quiero señor Buzz! 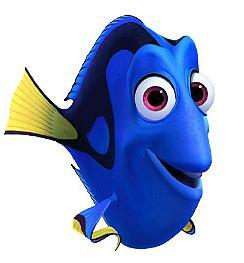 The blue tang fish that steals every scene she’s in is voiced by the inherently likable and goofy Ellen DeGeneres. From the moment Nemo meets Dory, something is just a little off. Soon we realize she’s suffering from short-term memory loss, which makes for a one riotous scenario after another. Dory delivers the biggest laughs and her compassionate and gentle spirit makes you wish she’s your best friend. There are too many favorite scenes of Dory but when she imitates the whale with that slow, deep voice I just about fell off my chair! I’m not ashamed to admit that this movie not only make me tear up, but I was practically sobbing! The small trash compactor robot that barely said a word is so affecting that within minutes of seeing him on screen, I want to run over there and gives the lonely robot a big hug. In a dismal, silent post-apocalyptic world, Wall-E is a beating heart that gives such hope amidst all the gloom and doom. When he falls for a far more advanced robot Eve, he goes to great length to woo her. 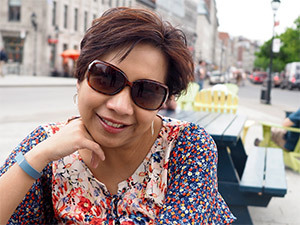 Believe it or not, it’s a genuine love story that is as heartfelt as any human connection. The hilariously hysterical t-rex is a minor character but every time he comes on, it’s always a hoot. Remember the Jurassic Park nod in TS2 during the car chase in the toy barn? ‘Object is closer than they appear‘ Ha! He’s supposed to be menacing but Rex is such a wimp that gets agitated by even the slightest hitch, but I love him best when he starts squealing like a little girl. I absolutely adore this 8-year old kid and his endearingly exuberant charm. Determined to obtain his final badge to become a Senior Wilderness Explorer, the chubby munchkin ends up being swept off his feet (literally! ), up, up and away with Carl in his balloon-hoisted house. Nothing seems to dampen the kid’s buoyant spirit. He and the gloomy and disillusioned makes an unlikely pairing that’s as odd as they are delightful. I have expanded this Pixar Character List to TEN, and now you can VOTE for your favorites. Ok, your turn, folks. I’m sure you’ve got your own favorite Pixar character(s). Let’s hear it! Good picks, Dan. Dug is a cute lab that’s for sure. And Boo yes, definitely memorable. When Toy Story 1 came out on video, I got 5 copies of it for Christmas from people who should have seriously conversed first 🙂 I have the original Woody and Buzz as well – which my nephews now play with! Huge fan of Pixar – always have been. Ha..ha… well at least you can sell ’em on eBay or regift ’em. I have the box set now but I’d have to get another one now that the 3rd one’s come out. Will everyone hate me if I say that I don’t think Pixar is the greatest thing ever? I’ve really liked some of their movies, but the “big ones” are not among them. Toy Story and Finding Nemo, meh. Wall-E looked so boring I haven’t even seen it. I guess I liked the rest pretty well. I guess I don’t have favorite characters, although I loved The Incredibles and Ratatouille. And I guess I like Boo from Monsters, Inc. Cars was ok.
Yeah, go ahead and call me a curmudgeon, but I’ll take classic Disney over Pixar any day. Oh, I think you’re alone in this Sam… he..he.. I like Disney stuff too, especially those Princesses, but Pixar is not as fairytale-ish and I find them much more relatable. 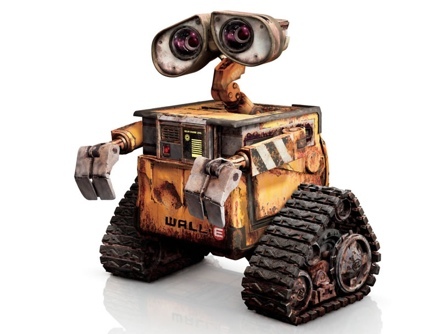 Don’t judge Wall-E before you see it, I was thinking the same too until I watched it and now it’s one of my faves. Funny, I’m actually just ok with The Incredibles & Ratatouille, they’re good but probably not in my Top 5 Pixar faves. Has it really been that long since the first Toy Story movie? How time flies! I agree with all your choices. But I was also a fan of Cars – which I know was one of Pixar’s least popular flicks – so maybe one of the oddball characters out of that film would make my top five. Yeah, it’s amazing isn’t it? But when I saw the 3rd one it felt like it was just released not that long ago. Haven’t seen Cars yet, but my hubby and my guest blogger Rockerdad just convinced me to see it soon. You know what? I really liked Dash Parr. I think he reminded me a lot of me when I was around that age. When he giggles to himself about being able to run on water – it was like “Pow!” I was totally inside his head. Cars might not have been the best of the bunch, but it does lend itself well to repeat watchings (and there’s plenty of that over at the Cynics’ ranch.) It’s strongest point is probably its sets, such as they are. Which movie is Dash Parr again, Steve? Hmmm, I’ve got to check out Cars one of these days, heard great things about it obviously. My friend Rockerdad was telling me how great the setting was just the other day. Dashiel Robert Parr? Why, he’s the son of Mr. Incredible and Elastigirl. “I’m the Dash! The Dash likes!” Yeah, I’m a real sucker for The Incredibles. Sorry Steve, don’t hit me but I’m actually just ok on The Incredibles. I had such high hopes and the buzz leading up to it was so promising, yet alas it didn’t quite live up to its name IMO. Your planned Route 66 sounds fun, I definitely need to give Cars a watch soon. Eh, I’m not on the Toy Story love so much as everybody else, but I get the appeal. It is kind of Pixar’s beloved installment now I guess. To me, Wall-E would have had to make that list, but the Honorable Mention will have to suffice. Y’know, I initially wanted to make a Top 10 list, but could only come up with 8 that I truly liked, hence the Honorable Mentions. But I can easily swap Wall-E and Flik now that I think about it. 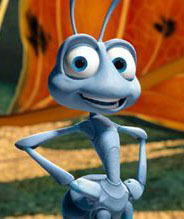 I would have put Wall-E in the 5 but I still like your list…including some love for the forgotten A Bug’s Life! Great idea for a post Ruth! Hopper: Are you saying I’m stupid? 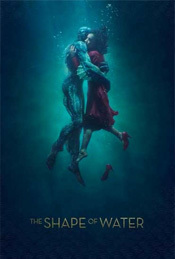 It’s not so much the dialog but just the way Spacey delivered it. 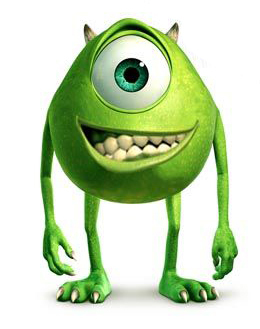 If I had to choose, I would say that Mike Wazowski probably still remains my favorite pixar character. Everything that Pixar did to make his humor, personality, and character so unique and relatable make him a fav of mine. 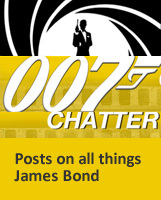 Even down to the jokes with mention of his one eye…the contact lens scene is classic! I saw him to be most believable and hilarious! But, that’s what Pixar does! It’s hard to choose an absolute favorite! It is hard to pick a favorite, even having to come up with five was agonizing. But I love the little green monster, Billy Crystal was just perfect and funny! I absolutely adore that you added Mike Wazowski on here! Buzz would make mine, and Dory would probably be my number one. I think either Wall-E or Remy would make it as well. Great list, with Pixar there are so many great choices to pick from! I have been resisting buying that Rex today from Target. I’m certain my hubby would kill me if I brought it home! My list is in random order, Heather, as I love all of them equally. It’d be like Sophie’s choice to rank them! Looks like we’re in agreement with most of them. No love for Rex from your hubby? But he’s sooo cute! 🙂 Hey, you just gave me an idea, I think I’ll run to target myself and get one for my cube. Great post Ruth, you’ve got right to the heart of why I love PIXAR, their wonderful characters. My favourite characters would include WALL-E, Woody, and Buzz, but I can’t really choose, I love them all. Lotso was the first PIXAR character I didn’t like, which shows the power of their characterization. Thanks Ronan! Yeah, it’s tough to choose for me too, but Lotso definitely won’t be my fave either. It’s interesting that they use the toy that’s normally warm, fuzzy and kind and turn it on its head! I like the squeaky penguin in Toy Story 2!!! Its a small role but its heartbreaking when he is thrown out. Hi Joel, oh yeah I like the squeaky penguin, too. A lot of the Toy Story characters are adorable. Thanks, glad you like the list. I’m not even sure I could name my 5. Bravo for pulling it off! I’d even have to debate Buzz versus Woody! Wall-E is definitely my number 1. Ahh! This is a great little topic. Nice top 5 choices. Can’t knock Woody being up there at #1. Hard for me to figure out who’s in mine! 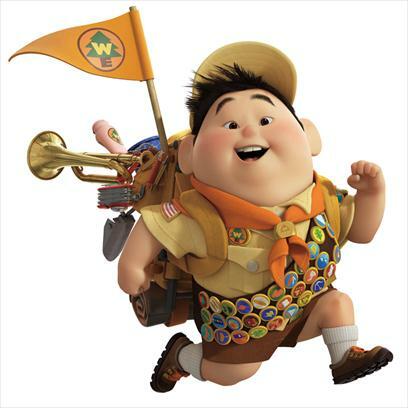 Honourable mention to Doug from Up – SQUIRREL! And Frozone – just an animated Samuel L. Jackson and I loved it :D. I have a lot of love for The Incredibles.